As you may know by now, thrift is my constant challenge. There is little I like more than finding a new way to stretch a dollar. Though, I must admit that I also love that feeling have adjusted a recipe until it’s perfect. 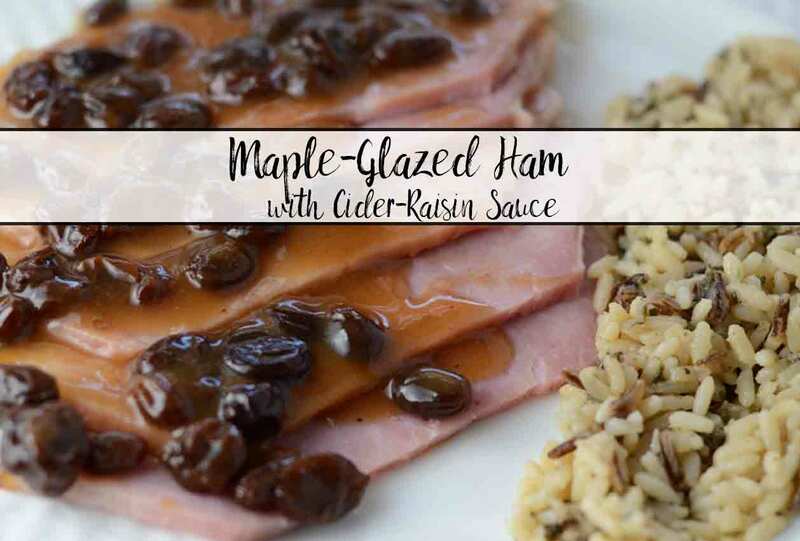 Maple-Glazed Ham with Cider Raisin Sauce meets both counts. I made some adjustments from a few different recipes to perfect it. 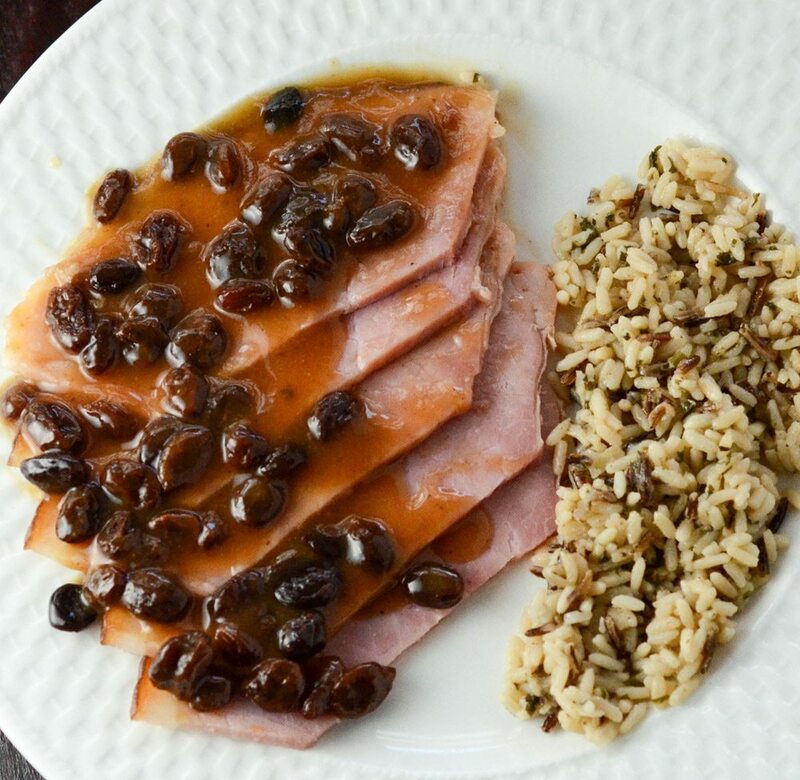 This ham is moist, delicious, and flavorful. The pan juices are mixed up a bit to make a wonderful cider-raisin sauce. Back to stretching that dollar. I love this recipe not only because it’s delicious, but because it works out perfectly with another recipe. After we’ve hacked off the great meat and feasted on maple-glazed ham, I use the ham bone and remaining ham to make “Ham & Bean Soup.” One ham (by the way, buy it on sale) provides enough meat for a week of meals. Mise en place. Let ham sit at room temperature for an hour. Pre-heat oven to 325°. Place ham in large roasting pan. Combine cider and 1/2 C. maple syrup. Pour over ham. Add water to bottom of pan until 1/2” liquid covering bottom of pan. Cover with tin foil. Remove ham from oven. Increase temperature to 425°. Whisk remaining maple syrup, dijon mustard, brown sugar, molasses, and cloves together. Spoon glaze over ham. Loosely cover with foil. Pour 3 cups of pan juices into glass measuring cup. Skim off any excess fat, if needed. Pour into a sauce pan. Add raisins and vinegar. Bring to a boil, and simmer for 3 to 4 minutes. Whisk cornstarch with 2 Tbsp. water. Whisk cornstarch mixture into sauce. Boil approx. 2 minutes or until sauce has reached desired thickness. Note: when you refrigerate the sauce it is going to turn to practical jelly. Don’t worry, when you re-heat it for leftovers, it will smooth right back out. Yum, oh yum! 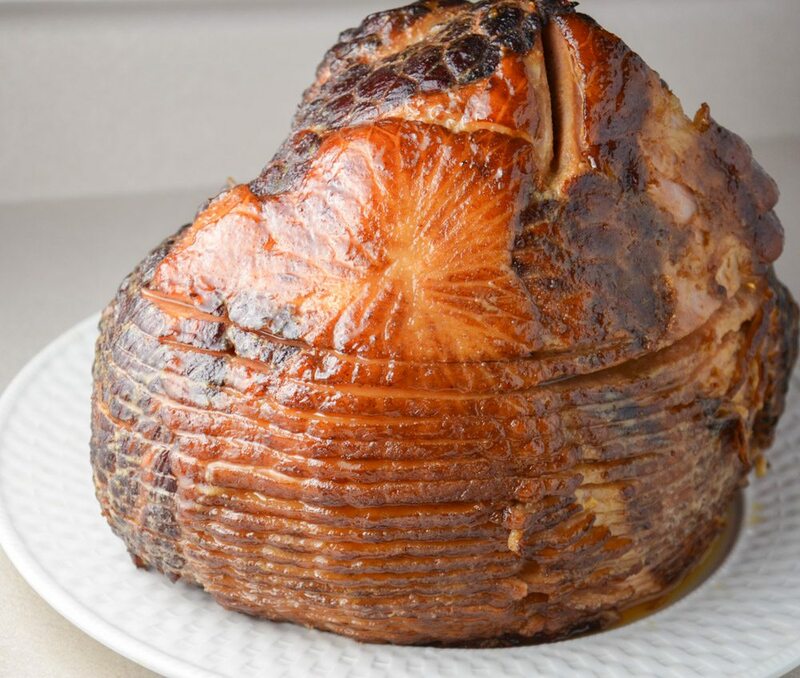 This is one good looking ham! Saying hello from Wonderful Wed! Thanks for the compliment on the photos. I’m still learning, so I’m always thrilled when actually comes out decent! Hi Jennie! 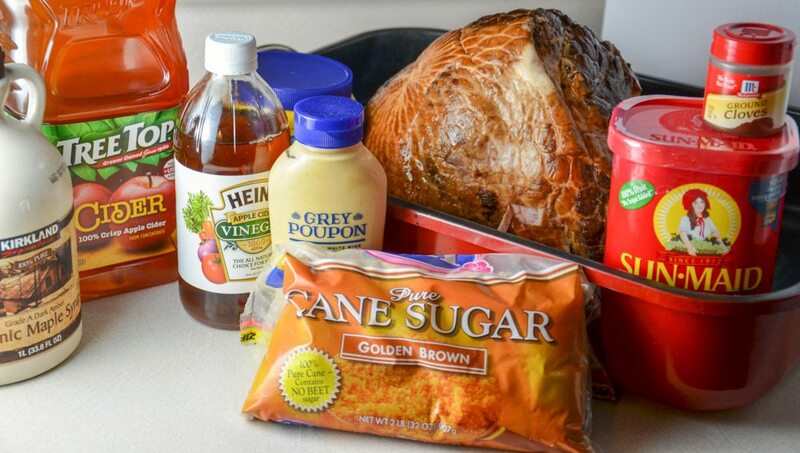 I love your photos of your roast ham and raisin sauce and since I’m posting my Mom’s recipe before we actually make it on Christmas, I’ve linked to one of yours 😉 The caption mentions the name of your blog and when you click on the photo it links to your post. Thanks for sharing!